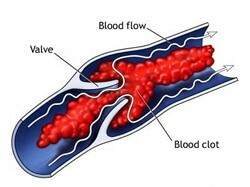 between one and four minutes for a clot to form inside the artery and transform a previously stable plaque that was causing little or no narrowing of the artery lumen to now become 100% occlusive. This stops the flow of blood and the nourishment of the heart or brain cells that depend on that artery abruptly ceases. The cells, then, start dying fast, resulting in a heart attack, a stroke, or sudden death. The quality of Balsamic Vinegar of Modena PGI is determined by 3 main factors: Quality of Ingredients, Quantity of Ingredients, and Ageing. Within the same category, there may be substantial differences in quality and the degree of concentration which is a very important factor in determining the quality of the final product. A deep study was run by the AIB (The Italian Association of Balsamic Tasters) along with the CSFA (a well reputed sensory analysis center) to implement a reliable tool so they are able to grasp the true meaning and quality of Balsamic Vinegars of Modena and to steer clear of gimmicks and misrepresentation. This system determines standards of quality in which 4 basic quality categories were identified and certified, known as the “Leaf System.” Those classified under the 1 Leaf Categories are the lowest grade quality with a lighter flavor profile, and those classified under the 4 Leaf Categories are the highest grade quality with a more superb taste and fuller flavor profile.